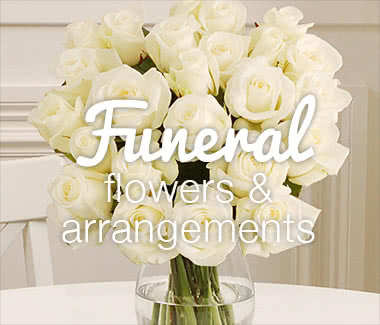 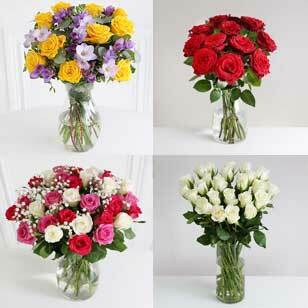 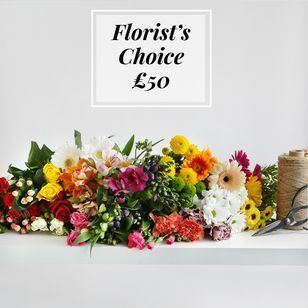 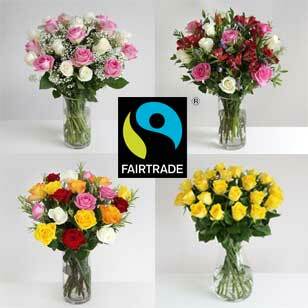 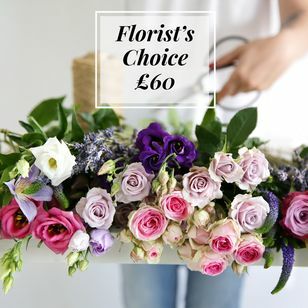 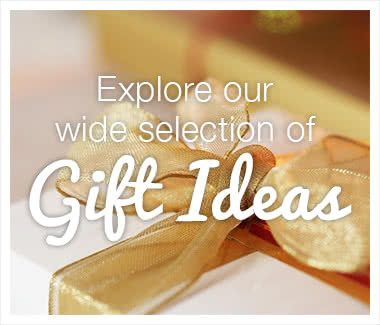 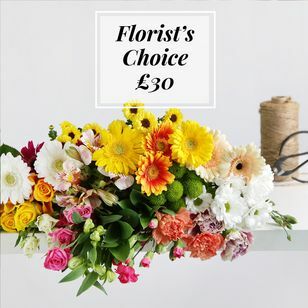 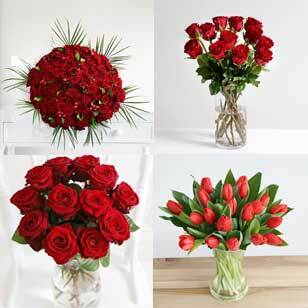 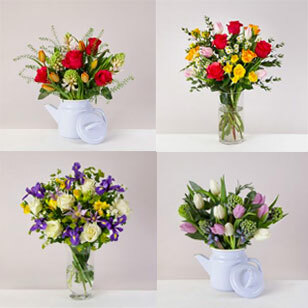 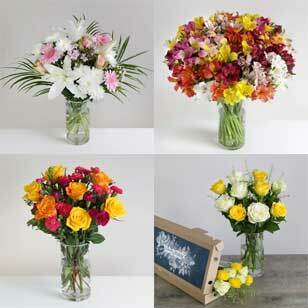 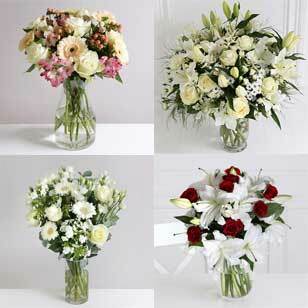 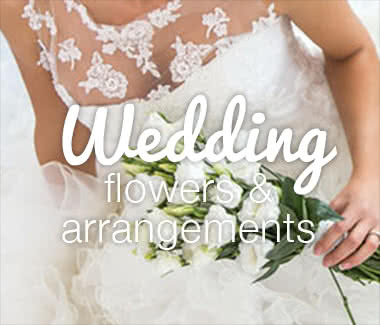 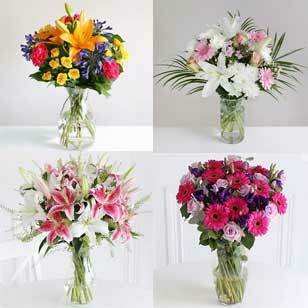 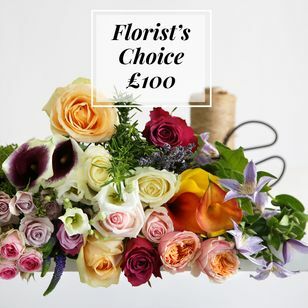 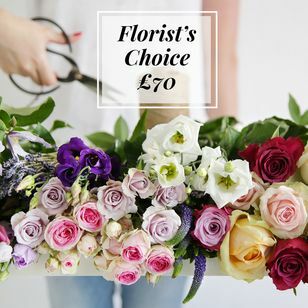 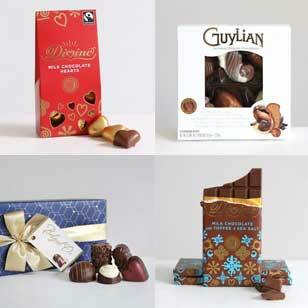 Each bouquet in our "Florist's Choice" range is individual, and made from stems chosen daily by our buyers. 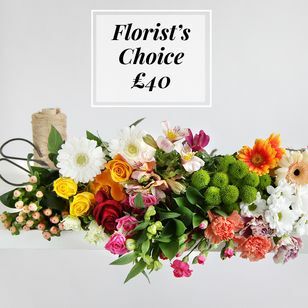 One of the many advantages of having our own buyers on the flower markets in Europe and working directly with the growers overseas is that we can take take the best of any flowers that are particularly beautiful at any time of year. 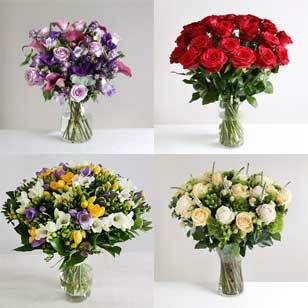 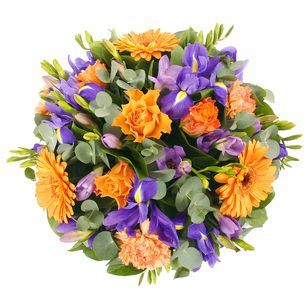 These stems are then given to our expert florists who will design a wonderful bouquet of the best of those beautiful seasonal flowers especially for you.